A tough little cowgirl like this one can rope and ride with the boys! 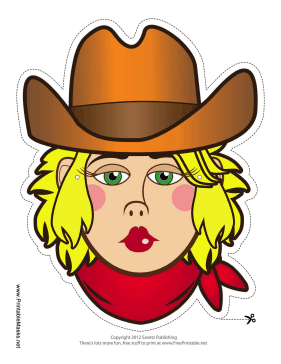 Her blond hair, red bandana, and brown hat will fit in great with any western costume. This mask is free to download and print.